Up In The Air Life proudly presents an 11-day South African adventure that includes visits to the urban gem, Johannesburg, and Cape Town, known for its beaches and lush wine lands. This trip also includes a luxury safari stay at Africa’s Leading Safari Reserve, Shambala Private Game Reserve, which received this honor at the World Travel Awards this year. This is our first trip to include over six consecutive days of high-end butler service while in Johannesburg, affectionately called Jozi. Our stay in Jozi includes your own luxury suite at Saxon Hotel with 24-hour butler service. 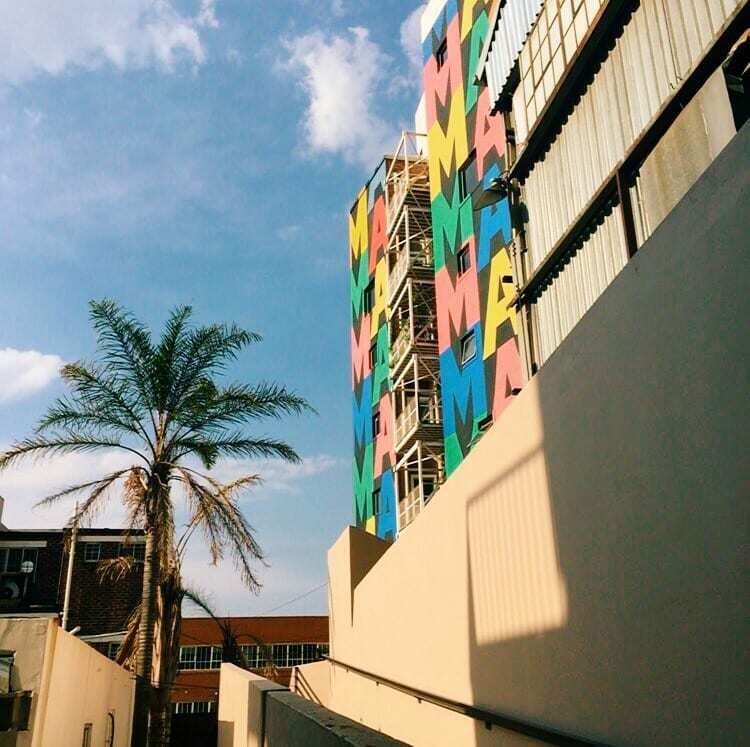 Our tours include the deep history of Jozi from the Nelson Mandela House, Inside Apartheid, Soweto, a visit to the only Black Owned brewery and an intimate rooftop tour to learn about history while you sip and enjoy the views of the city. Our trip would not be complete without a local visit to Neighborhoods to observe the bustling outdoor market. 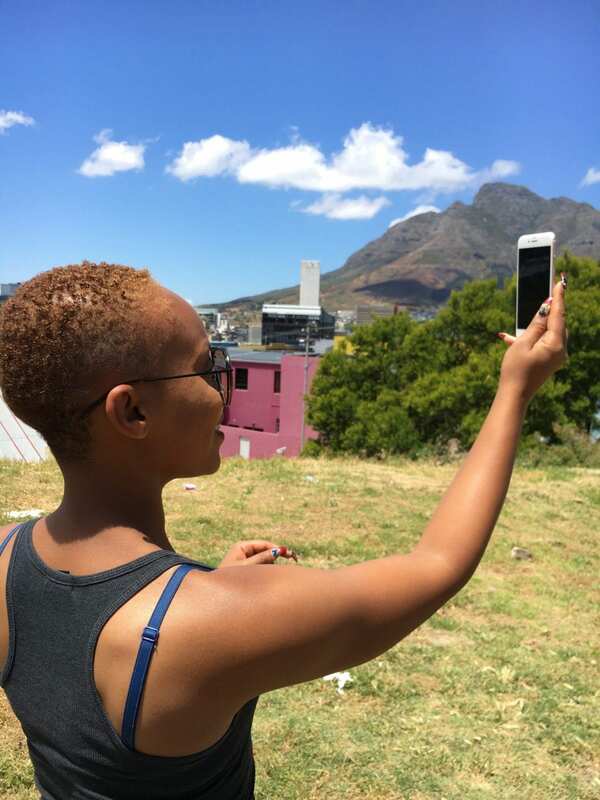 Our Cape Town stay continues with a photo tour in Bo Kaap, a cooking class, a Table Mountain experience, a VIP Robben Islands Helicopter Tour, and, of course, an in-depth wine land experience with dinner. This South Africa trip is our longest trip to date and we look forward to exploring with you the Up in the Air Life way. Welcome to Johannesburg, South Africa! Johannesburg, affectionately referred to as Jozi, Joburg, and eGoli, is the largest city in South Africa and one of the 50 largest urban areas in the world. It’s also the wealthiest province in South Africa. 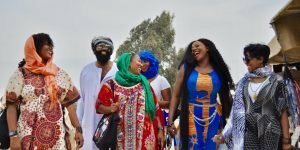 After your checked in and rested up we will toast it up tonight in Sanza, Yeoville ’s, a now-famous South African denizen, for a culinary family style dinner journey fusing vegan vibes, cocktails, wine & storytelling with traditional food from every corner of the continent. 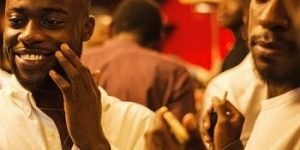 The feast includes communally served dishes across the African continent on a long table shared with the group. Cheers to our first night in Jozi! Enjoy a sumptuous breakfast at the hotel before we depart to Inside Apartheid to learn the infamous history of Apartheid by visiting the renowned Apartheid Museum, Nelson Mandela’s House, and other historic sites. Later in the afternoon, we head to the home of some of the surviving Pantsula dance crews learn their famous dance moves & routines and create our own then after we worked up an appetite we’ll head over to enjoy an amazing Soweto Braai lunch, and see Soweto beyond boisterous Vilikazi Street. Tonight you’ll enjoy a free evening out on the town. We’ll provide some recommendations for you to enjoy the highlights of Jozi! 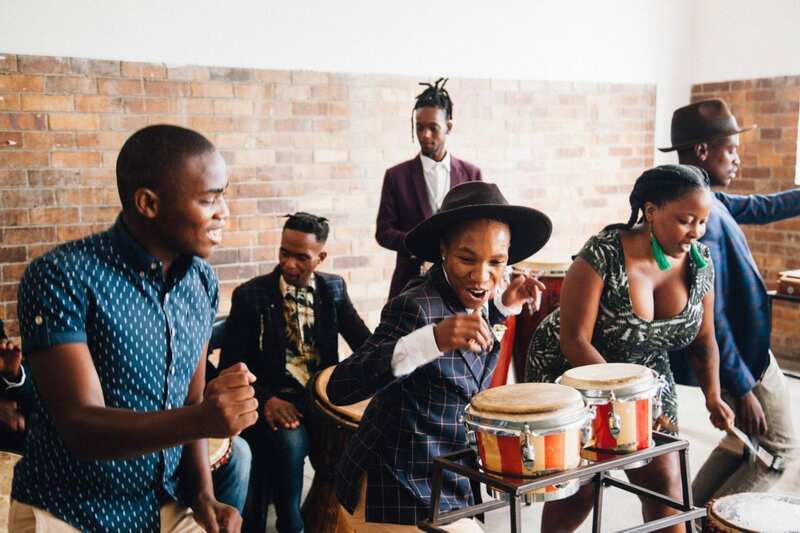 Today we take the global phenomenon of a “Day Party” to the motherland South African style to Neighbourgoods Day Party & Market a vibrant blend of delicious food, mouth-watering drinks and exceptional music and dancing! After enjoying the sights and sounds we’ll experience some of Joburg’s most famous drinking spots with Gerald – from trendy rooftop bars, underground pubs, and historic watering holes. While enjoying your drink of choice, discover a city that is undergoing a remarkable rebirth. Take some time for you, relax and enjoy Jozi with our tour leaders here to provide assistance & experiences on anything you’d love to see and do in the city. We’ll provide a list of optional tours you may purchase prior to your trip or feel free to play it by ear. Today we’ll venture out to the neighboring province of Limpopo for an unparalleled luxury safari experience that only be described as breathtaking. 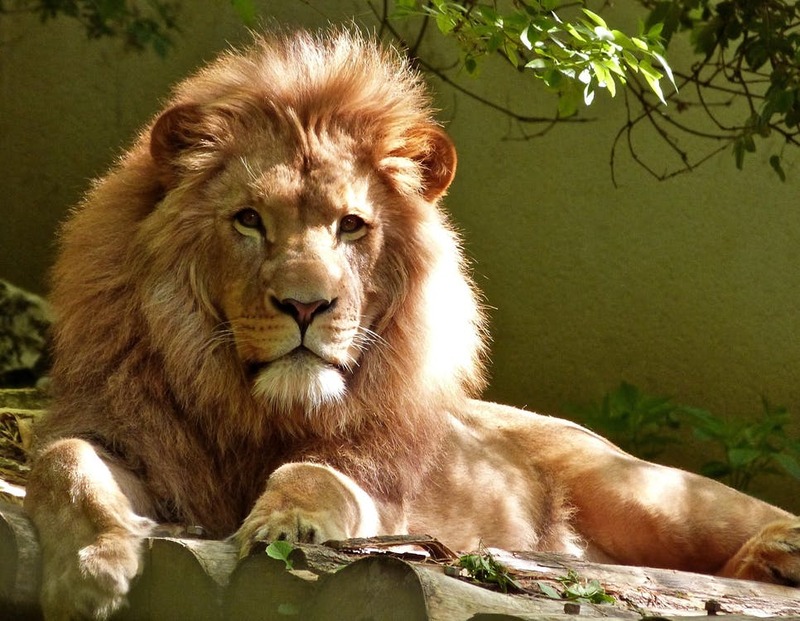 We’ll be transported to the Shambala Private game reserves to see “The Big 5” to view up close and personal what we dreamed about on documentaries as a child watching National Geographic in the motherland. By nightfall returning to our luxurious lodge for relaxation & reflection. Shambala Private Game Reserve offers you the extraordinary experience of staying in traditional honeycomb-shaped chalets in the heart of the bushveld. From early morning until dusk the air is filled with echoing bird calls, highlighting the uniqueness of being part of the natural bush surroundings. 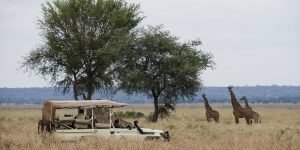 You can expect to spot a wide variety of game species, from black and white rhino to elephant, lion, leopard and cheetah, as well as buffalo, giraffe, sable antelope, black impala, tsessebe, nyala, blesbok, waterbuck, klipspringer and Cape mountain zebra, and even spotted hyena, in addition to abundant birdlife. Today prepare yourself for more memorable moments to last a lifetime as there is nothing quite like a leisurely sundowner cruise on the 30 hectare Douw Steyn Dam, the largest man-made dam in southern Africa. The dam is home to herds of hippos as well as crocodiles and a large and varied indigenous fish population. From the boat deck you will also see various species of antelope and other wildlife that come down to the shores of the dam to drink water. This is the ideal opportunity for taking in the spectacular sunset views as the birds wing their way home and the bushveld slowly turns to dusk. Tonight we’ll experience star-gazing in the wide expansive skies of South Africa you will be treated to a magical display of stars beyond your wildest imagination. Star-gazing takes you on an unforgettable journey of the great African skies. Gazing up at the Milky Way stretching out across the sky brings a renewed sense of adventure. Today we’ll awaken to a glorious African sunrise & delectable breakfast before heading out on our final African Safari game drive to watch morning time wildlife before the journey back to Jozi to fly to Cape Town. Welcome to Cape Town! Cape Town is an amazing port city on South Africa’s southwest coast. Tonight you’ll have free time to wind down from our journey and enjoy dinner on your own or with your new found friends. We’ll have some dope recommendations! Today we’ll explore Bo-Kaap, the Cape Malay neighborhood in Cape Town known for it’s colorful homes and a favorite spot for any instagrammer. You’ll be invited into the home of Gumidah who’ll be sharing Cape Malay recipes passed down by her grandparents. We’ll go on a photo walk, so have your camera ready! During the walk you’ll learn about the history of the area followed by a cooking lesson with lunch. This evening we’ll skip the crowded ferry and long lines and explore Robben Island, the notorious prison that once held Nelson Mandela, via a private chopper. We’ll get an up close and personal experience with the remaining survivors of this Apartheid relic. Today we’ll head up the famous Table Mountain. Table Mountain, with a uniquely rich vegetation, is a flat-topped mountain forming a prominent landmark overlooking the city of Cape Town. Enjoy a scenic ride along the mountain and take in the views of the city and the Western Cape coastline. We’ll indulge in a delectable wine tasting paired with South African traditional snacks. Wind down this evening at the hotel spa or join us for a night on the town. Tonight we’ll join our chef and expert sommelier on a culinary journey in the winelands as forage for ingredients experience a guided cellar tour, and finally enjoy your lunch with wine pairings. Rise and shine for an optional-self guided tour or shop your last hours away. Up in the Air Life private drivers will sadly whisk you away to the airport.